Most visitors to Northern Thailand spend at least some time in Chiang Mai. It's a fun city that attracts all types of travelers for it's excellent cuisine, beautiful natural setting, and impressive markets. Many visitors end up spending longer than they expected in Chiang Mai. There is no shortage of affordable accommodation in Chiang Mai. 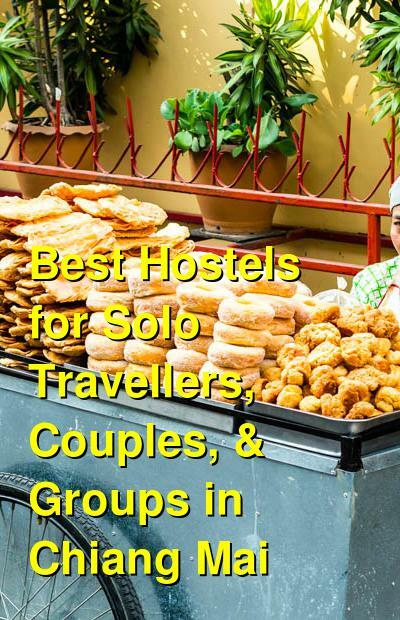 There are a variety of hostels and guesthouses around and most offer comparable amenities. Most hostels can arrange any tours and activities you many want but some guesthouses will more aggressively push their tours than others. Make sure you read plenty of reviews before committing to a place. Gongkaew Chiangmai Home is a resort style guesthouse that is located right in the center of Chiang Mai's old city area. It is in a peaceful setting that is about fifteen minutes from the airport. From the hostel you can walk to Wat Phra Sing, Wat Chedi Luang, and the Sunday night market. The hostel has two four bed dorms, two double rooms, two twin rooms, a triple room, and a family room. The dorms have bunk beds. The hostel also has many good amenities for guests including air conditioning, cable tv, free seasonal fruit, and travel information. The staff is helpful and can arrange any number of activities for you including thai massages, trekking tours, bicycle rental, thai cooking courses, and dinner shows. This is a great place to stay if you want a mellow atmosphere with friendly people. Both the other guests and the staff help keep the guesthouse warm and inviting but it's still has a quiet setting. Whether you're just starting your trip in Thailand, or you've been here for weeks, this will be a refreshing place to spend some time. Located within the walls of Chiang Mai's old city, Hug Hostel is near Chang Puak gate (the north gate). It's easy to walk to all the major attractions around town. The hostel also has the Hug Cafe on site which serves authentic Thai food as well as western dishes. If you want to go elsewhere, there are many nearby restaurants that serve the cuisine that makes Chiang Mai famous. There's also a convenience store nearby if you have to pick up any essentials. The hostel is located in a four story building that has twelve rooms. Guests can choose from two twelve bed dorms, a ten bed dorm, two eight bed dorms, a six bed female only dorm, a six bed mixed dorm, and four bed female only room or co-ed dorms. There are also two double rooms available for anybody that wants a little more privacy. Dorms have bunk beds with private reading lights, a power outlet, and a locker. There are also several common areas where guests can hang out. The staff can help you organize any tours or activities that you might enjoy in the area. Green Tiger Vegetarian House is located in an authentic part of Chiang Mai, set back from the touristy area. It's near the north gate of the old city, and is still accessible to many sights and attractions in the area. The hostel is located in a quiet and convenient area that is close to taxis and transportation. It's also about a fifteen minute walk from the city center. Green Tiger House has a relaxed atmosphere where you can meet other guests but still enjoy a good nights sleep. There is a nice terrace where guests can hang out and enjoy the weather. There's also a vegetarian cafe on site. Laundry, bike rentals, and help organizing tours is all available through the guesthouse. The hostel has eight bed dorms available. All rooms are co-ed and guests get access to large lockers. Located in the old city, Potae's House is just a couple minutes walk from Wat Chiang Man. 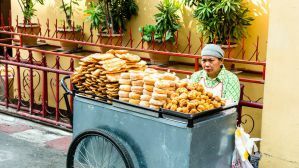 It's also a five minute walk from Chang Puak Gate and is near the local food market. Most other sights in the area are also accessible by foot. The hostel offers guests a breakfast of toast and coffee every morning, but if you want more, there are plenty of great restaurants in the area that you can choose from. The hostel has a ten bed co-ed dorm, a six bed female dorm, a twin room, and a double room. The double has a king-sized bed. All of the rooms are air conditioned and most have shared bathrooms. Dorm beds include a reading light, locker, and power outlet. Guests can also use the microwave that is available, and free drinking water is provided. Staff can help with any tour bookings or activities that you might want to do.